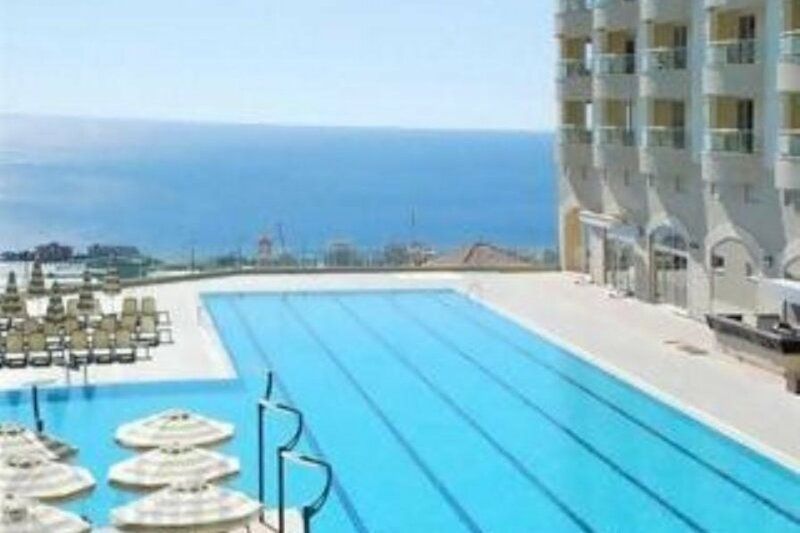 Perfect apartment furnished to a very high standard with all the facilities to make the perfect holiday. Gold City is a 5 star Resort. This luxurious one bedroom apartment sleeps up to five people with a double and single bed in the large bedroom and a sofa bed in the living room which is ideal for one adult or two children. The kitchen is fully equipped with everything you might need and there is also a dining area and balcony fully furnished for outside dining offering fantastic views of the sea and the majestic Taurus mountains. The Gold City complex offers everything that you could want with numerous indoor and outdoor pools including an olympic sized pool, water slides, trampoline, a spa and gym, cinema, shops, arcade, ice skating, bowling, shopping and access to a private beach. There is also a wide and varied selection of pubs and restaurants to choose from and even a nightclub for those later nights. Irish matches and news is broadcast in the Irish bars and in the apartments. The city of Alanya is only a short complementary bus trip away (car rental also available should you require it) and boasts a rich culture combined with a lively social scene where friendly locals make you more than welcome. The nearest international airport is Antalya Airport (AYT). Water and electricity are charged by Meter based on use and are not included in the price. Charges can vary depending on A/C use and so on but a rough guide would be EUR 85 p/w.